There has never been a greater need for raising the funds necessary to promote the causes that will help build a sustainable future. In Money for the Cause: A Complete Guide to Event Fundraising, readers learn how to raise money for water conservation and the environment by using field-tested approaches that have helped teams of volunteers and professionals raise millions for water and environmental conservation. Fundraising events can range from elite, black-tie affairs in large cities to basement banquets and backyard barbeques in small-town America. 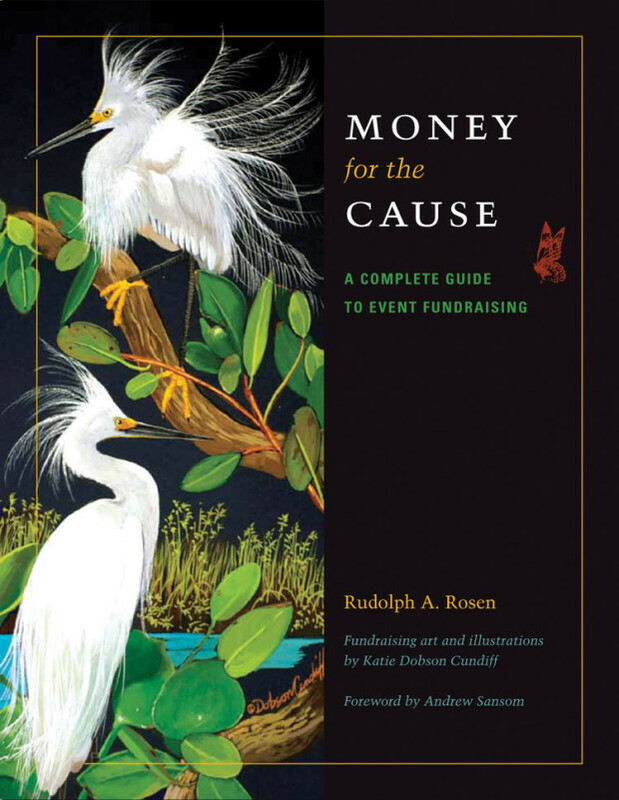 Money for the Cause runs the gamut, describing in easy to understand language methods adaptable to most situations and illustrating basic to advanced techniques that can be duplicated by everyone from novice volunteers to experienced event planners. Each chapter begins with a pertinent, real-life anecdote and focuses on a major area of event fundraising, including team building, auctions, raffles, food and drink service, planning, budgets, games, social media, websites, entertainment and more. Each topic is applied to the widest possible range of events and organization size, providing practical advice and easy to follow examples, sample materials, and many other aids to fundraising success for different types of organizations and their fundraising activities. Whatever the funding objective may be, Money for the Cause will quickly become indispensable to anyone involved in mission-driven organizations, whether as a volunteer, professional, student, or total beginner wanting to raise money for the cause.